The Deir Yassin massacre is a bitter symbol of a long history of terror and repression, to which to our shame we have contributed in many substantial ways, and still do. We should not only remember, but also rethink and understand, and more important, act to bring some measure of justice to people who have suffered gravely. For Palestinians, the 1948 massacre by Irgun and allied Stern Gang soldiers of more than 200 residents of Deir Yassin, a tiny village near Jerusalem, resonates sharply as a focal point of history. The dead victims almost all women, children and old men became irrefutable evidence of the consequences for Palestinians of the creation of the new Jewish state. The resulting forced exile of over 750,000 Palestinians in 1948 over two million scattered in a far-flung diaspora today remains at the heart of the Israel-Palestine conflict. 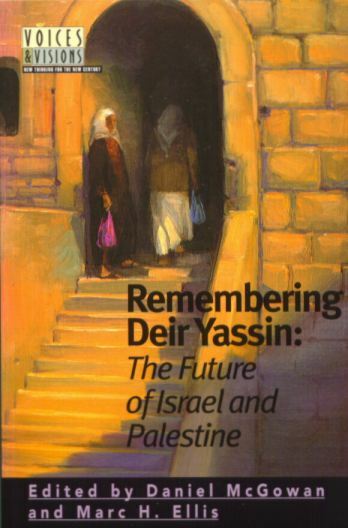 Remembering Deir Yassin brings together Palestinians and Israelis, Jews, Muslims and Christians, Jewish theologians and Palestinian priests, to reflect on the fifty-year legacy of Deir Yassin.